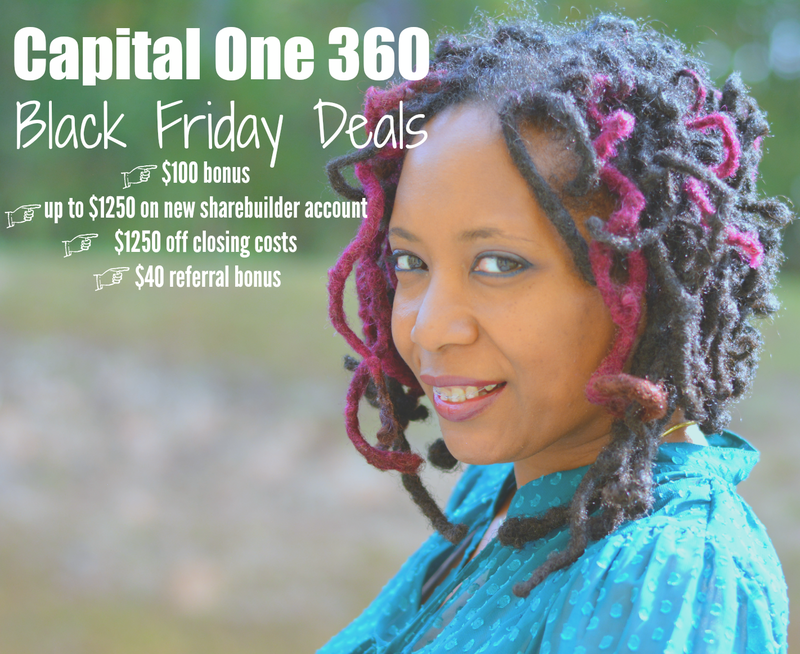 Now that Thanksgiving celebrations are winding down and Cyber Monday is approaching, don't forget to add Capital One 360's Black Friday Sale to your shopping list. Give yourself the lasting gift of financial peace of mind by taking advantage of banking, brokerage and mortgage deals. A key element of achieving financial peace of mind is paying bill on time and avoiding unnecessary fees. One of the best ways to stay on top of them this holiday season and throughout the year is to utilize online bill pay services. You can schedule payments to automatically send on a certain day every month or send paper checks when making one-time payments. All can be done via a computer, tablet and even a cell phone. I use Capital One 360 online banking as they are designed to save time and money plus checking and savings are fee-free and earn interest. Capital One is not just convenient for bill paying. Capital One 360 has several programs to help you achieve financial goals whether establishing a responsible budget in the new year or saving for a child's college tuition early. With remote deposit capture and Automatic Savings Plan, you can easily manage your savings goals. While you may have gifts, greetings and get-togethers on the brain, it's important not to lose sight of finances and remain committed to a responsible budget . It's so easy to lose track during the hustle and bustle of the holiday season. 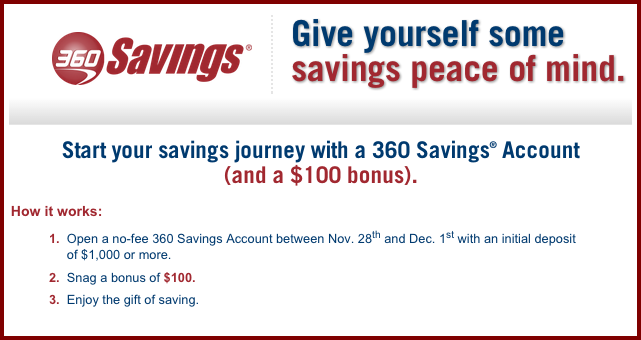 Capital One 360 has several Black Friday deals good through December 1st to encourage consumers to stay on track. In addition to taking advantage of deals on banking, brokerage and mortgage products for yourself, you can give your friends and family the gift of financial peace of mind by encouraging them to take advantage of the deals by referring them to the sale. If they sign up, you may be eligible for a $40 referral bonus! What does financial peace of mind mean to you? 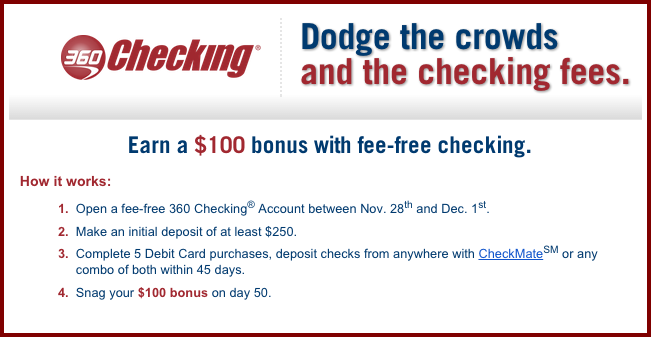 $100 bonus on new checking or savings accounts. 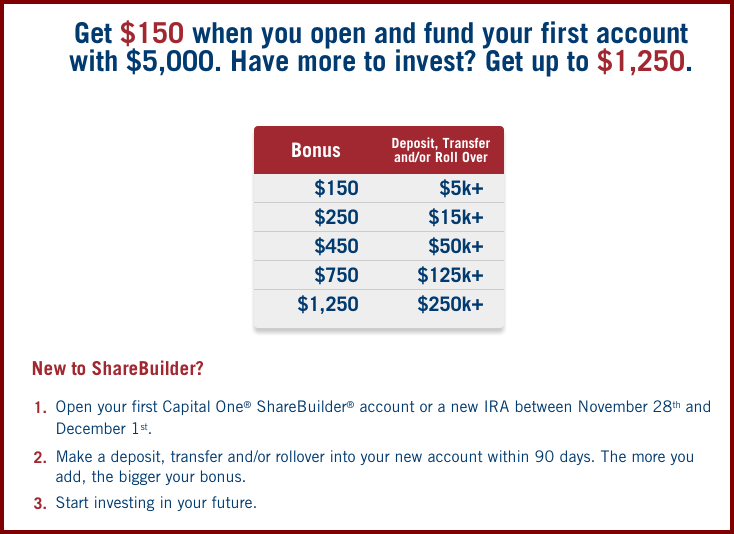 up to $1,250 bonus on new ShareBuilder account.